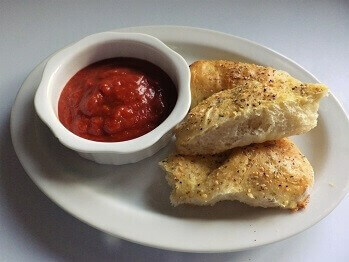 This is a classic white bread and wheat bread roll recipe with a variety of herbs to make them savory and satisfying. 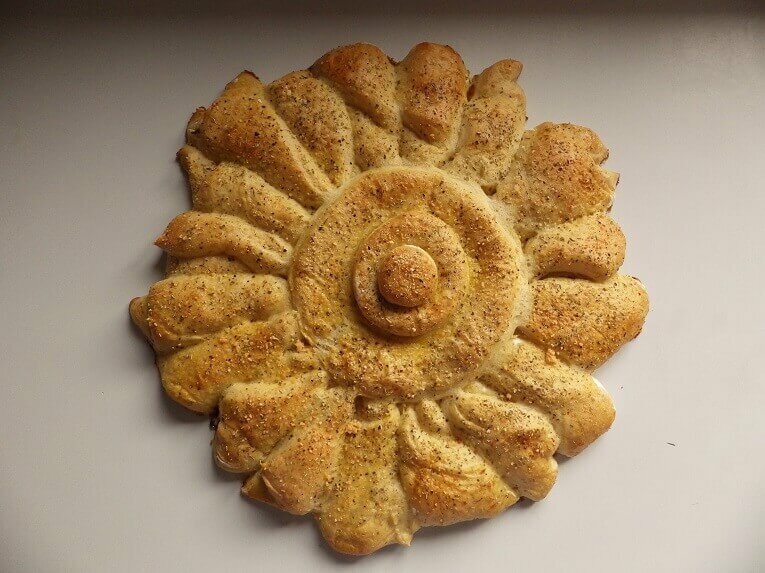 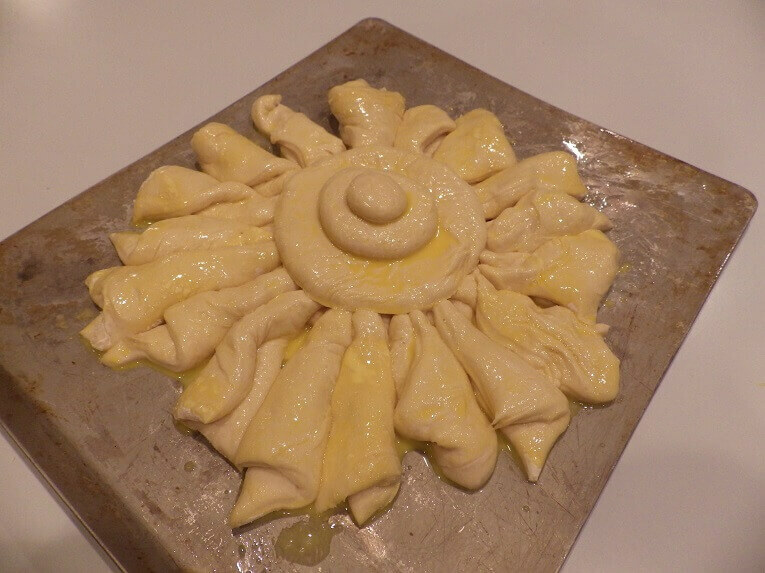 The bread itself is shaped into a pinwheel shape which invites people to tear off a piece as they eat. 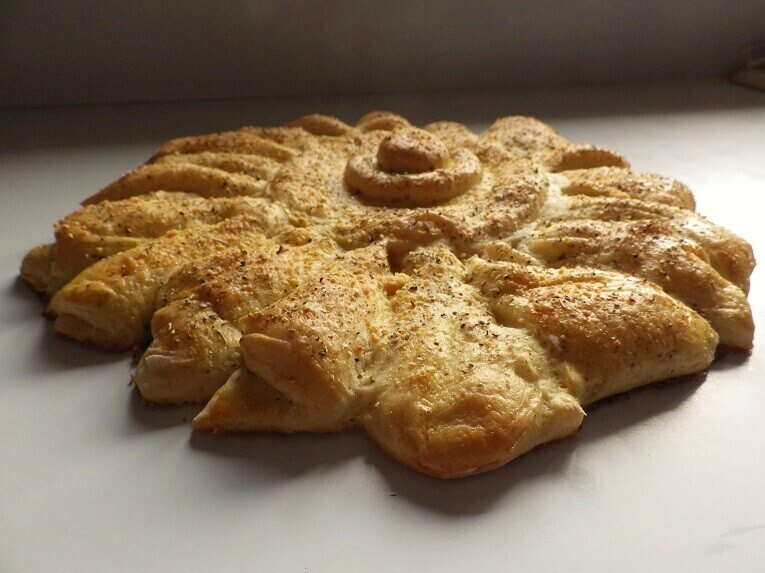 It’s a great bread for holidays, celebrations and family get togethers. 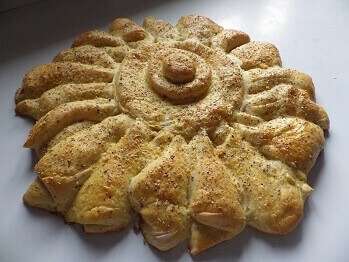 In fact, the next time you go to a party or gathering and wonder what to bring -this herb pinwheel loaf might do the trick. Like other recipes we’ve featured, this recipe starts with the dough setting on your bread machine and after the rise you shape the pinwheel on an oiled baking sheet. You let them rise a second time and finish the rolls in the oven. 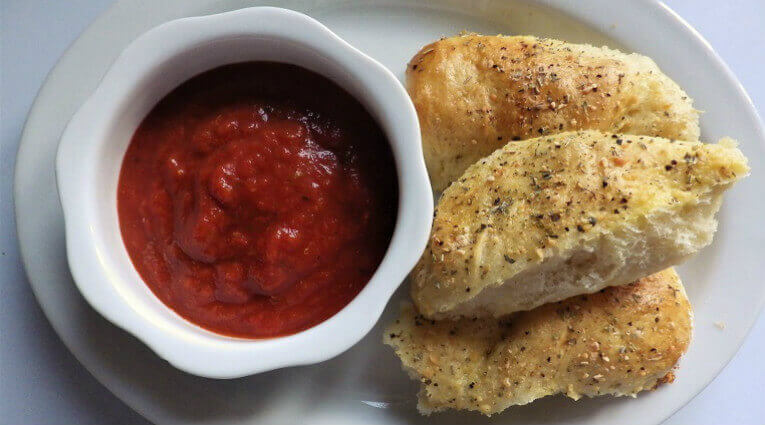 You can vary the recipe any way you like and improvise with the toppings or simply leave them off altogether. 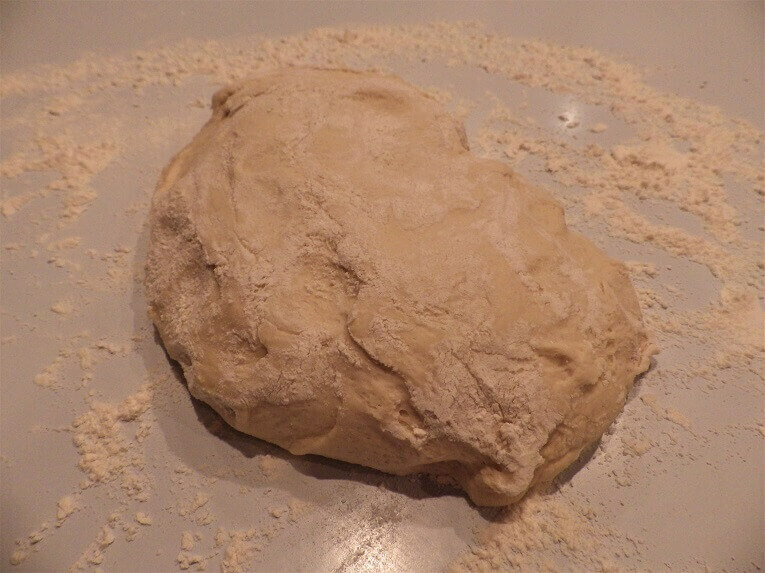 Add the ingredients to the bread pan in the order indicated in the ingredients section. Select the dough setting. 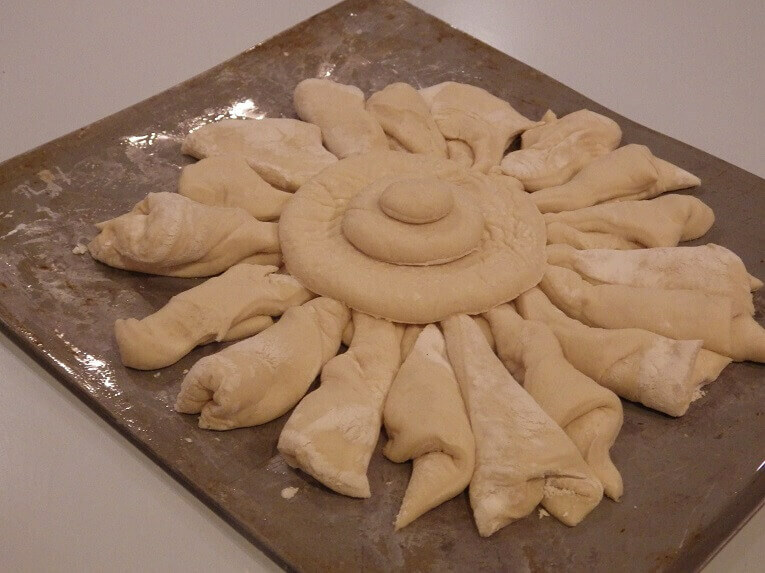 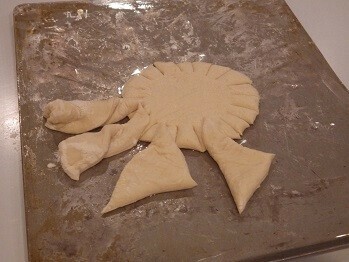 When done, remove the dough and prepare to shape the pinwheel. 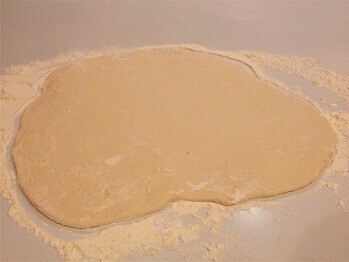 Place the cough ball on a floured surface and turn once to coat with flour on both sides. Roll the dough ball into a sheet about 14 to 16 inches in diameter. 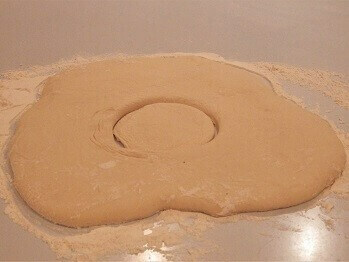 Cut a hole in the center with a bowl about 4 to 6 inches in diameter. 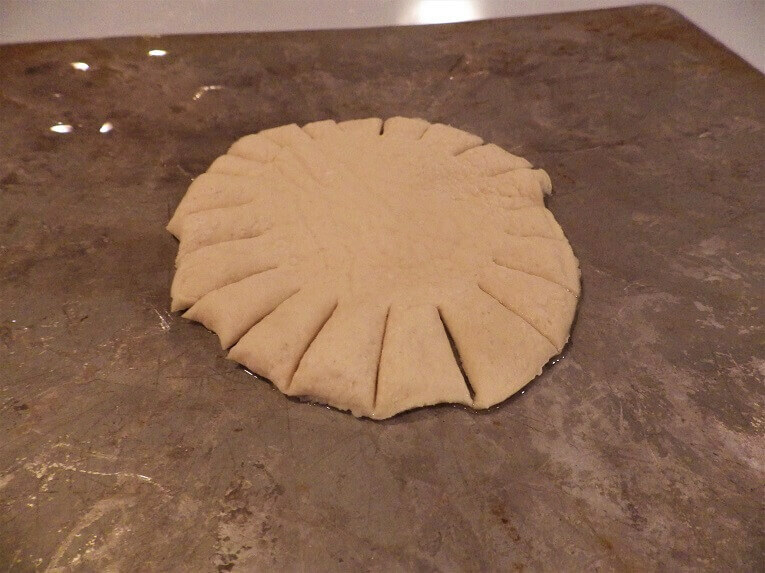 Place the cut out round into the center of an oiled baking sheet and cut some ridges along the sides of the dough mound. 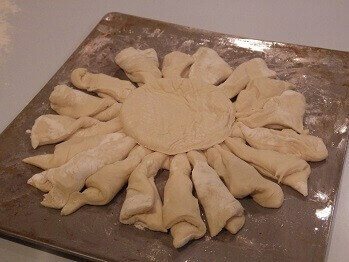 Take the remaining dough and cut into 20 triangular shaped pieces. 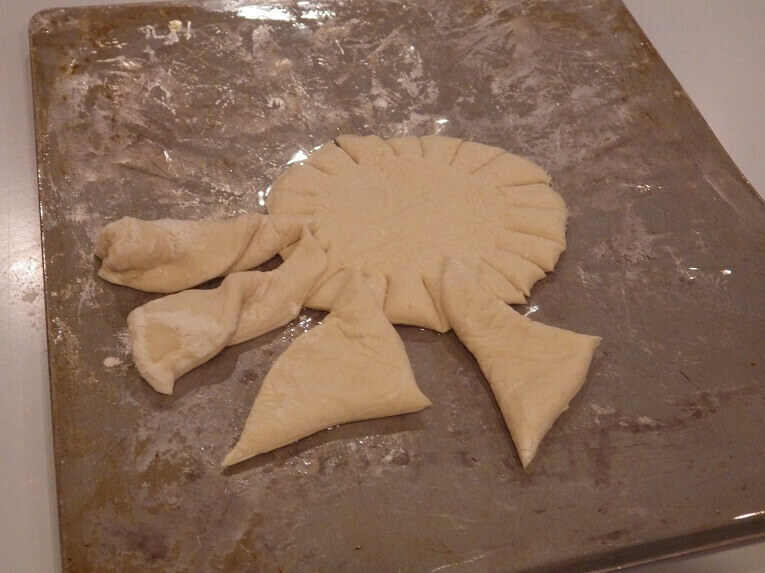 Carefully arrange these pieces around the dough mound with the points of the triangles pointing towards the center and fold each triangle over itself once. 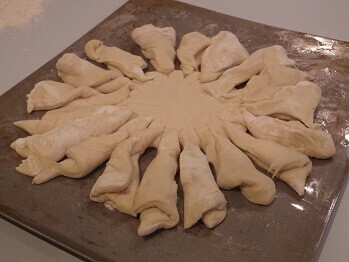 Repeat until you have a pinwheel shape. 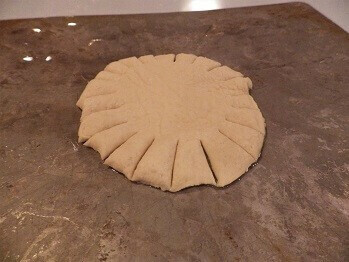 Cut another round the same size as the first round and place on top of the dough spokes in the center. Cut a couple of smaller dough rounds using a glass finishing with a button of dough on top. Glaze with the egg wash.
Top with a snowfall of Italian seasonings, minced garlic, 1/3 cup of grate parmesan cheese and any other seasonings you like. 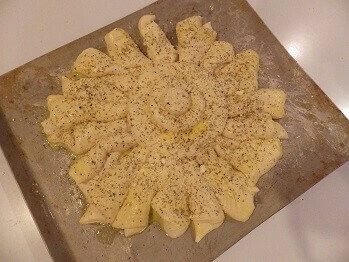 Let rise on the baking sheet for 20 to 30 minutes. 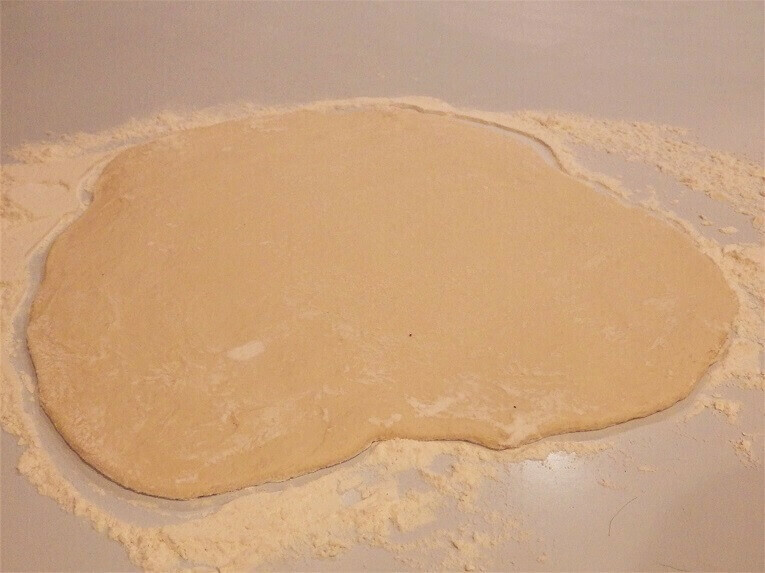 In the meantime, preheat oven to 350° F./ 176° C.
Bake for 15 to 20 minutes or until browned. Let rest for 5 minutes and serve. 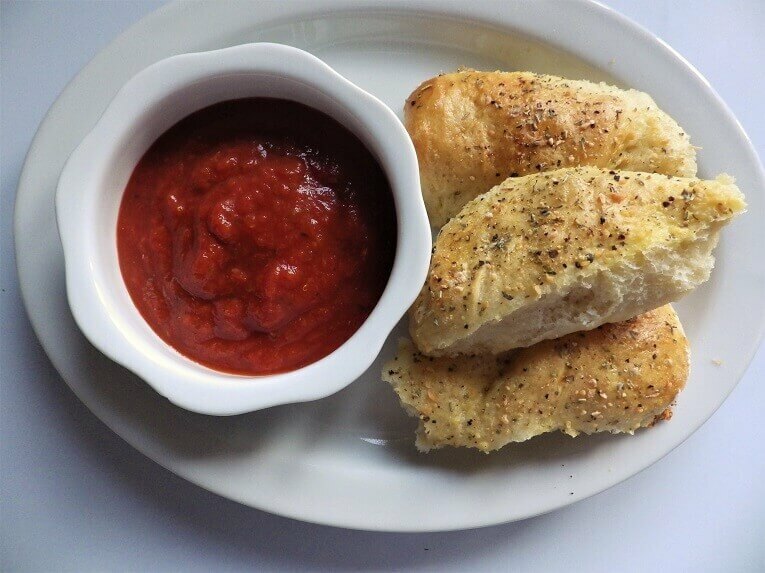 Your guests can either tear a piece off and enjoy, or you can serve with sides of marinara.